But when you are able to quiet your mind, and enter into the peace and calm within there is infinite blessings and possibility in this. 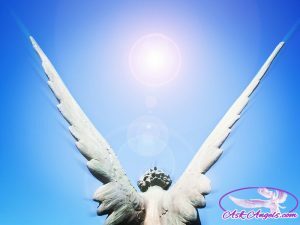 Archangel Metatron connects in this channeled message to guide you into this place of inner peace and power within you. You will learn a simple and effective way to shift out of spiraling thoughts and into the peace and calm of Divine love within. If you are looking to connect with your inner power for healing, true life energy, to release the perils of a busy day or for support with new positive habits, this meditation is for you. Archangel Metatron delivers a message that is mixed down with the beautiful music of Thaddeus. The combination makes for an audio experience that will help you feel refreshed, grounded and re-energized. This angel message has also been transcribed for you below if you would prefer to read. I'm thankful for the part you play in the ascension. I hope this channeled angel message helps you fill yourself with light so you can shine your unique light brightly in our world! At this time, I ask that we be surrounded with light and with 100,000 angels. I ask that each of our highest, most loving guides and angels enter in and connect with us now in our own unique way. I ask that Archangel Michael offer protection and that the highest, most loving possible channeling guide, come in, connect and channel a meditation, a message for us, through me now. Indeed, we are here, and I Metatron, speak. You are of course surrounded with the energy of the light. And yet, you also have bright light shining within which is your inner fire, your heart, your spirit. Now tune in to this inner power radiance. Tune into the light brightly shining within you. Draw your breath in and feel your breath fanning the flame of fire, of your heart, letting it grow and build. And as you exhale, let this light, this blessing of well-being and love and peace then radiate throughout your body, throughout this room, throughout your earth. Breathe in to let your light build and grow, and breathe out, letting this light flow out from you, blessing all who are near, and rippling out through consciousness. Your cosmic radiation indeed has a powerful effect to bring about positive change in your world. You are of course in a time of great change, and yet you hold within, great power and light to manifest joy and blessings, and not only in your own experience. When you feel good, when you place with your intention positive thoughts, the effect of your positive emotions ripples out far beyond linear time, beyond this moment and even this year now. From our perspective, this powerful work, which you are already engaged in, has great potential for you to arise, awaken and empower yourself to live your divine blueprint, your blessed life now. The light you feel around and within is a part of you. The energy of your angels and guides is now enveloping you with love and blessing you with frequency and spirit. We in the angelic realm are not separate, we are all one energy, one consciousness. Now focused within your open heart, your center, and return to your conscious knowing of your connection with love throughout all existence. Enter inward, feel the peace, calm and stillness inside, and know that this inner peace and calm always awaits you. Your mind may find all kinds of scenarios, doubts, and fears to distract you with, but despite whatever is happening in the physical world around you, you always have the choice and the opportunity to breathe and to drop inward. In every moment, you are able to quiet your mind, open your heart, and return home, return to consciousness and love. Now from this place, with your breath, notice that you can breathe in any thoughts that are around. Envision your thoughts spiraling above, connected to you and connected to collective consciousness. Breathe these thoughts in, returning thought and emotion and experience to consciousness, to love. Breathe in and return home to the stillness and peace and divine energy of this now moment. Breathe in all thought, and as you breathe out, let your flame of light extend beyond your body. Feel the energy in the room lift, feel your energy lift as you give of your light to the world, to consciousness. And indeed, your every thought, your emotion, your belief does not end with you. You are so closely intertwined, from our perspective, with everything in existence. Ascend, awaken, claim more of your power to live joyously and free and in love, follow your passions and your creativity, let your inner light shine and glow and radiate, so that your physical body now feels like it is tingling with light. You are glowing. You are radiant and vibrant from this place of clear mind, vibrant physical body, fully awakened spirit. You are unlimited, you are not limited. Your mind may think, get caught in the spiral of thought and present you with perceived limitations, but the truth of your heart and of consciousness is that your every desire, dream or wish for your life and for humanity can come to be. The doubt of the mind, can be released now. Let go, breathe it in. Breathe in thought, returning home to love, to still, peace, and calm. There is nowhere you must be and nothing you must do or think. Simply enjoy this very moment and experience, where you are connected to your light and your power. And from this place of open heart, vibrant spirit, incredible light, you are able to start a wave, a ripple of conscious thought, beginning inward, extending outward, and through this sharing your blessing, your positive vision with all. We see, that there is great love and happiness and empowerment awaiting you. To live, not following the guidance or ideals of another, but following the inner promptings and callings of your heart; for it is from your heart that you are able to open the portal within, to fully connect with your higher self, with your cosmic light, your spiritual body. As you do this, bringing more and more of your full energy, your full light, full awareness into being, the benefits will not end with you. Your light can take on the magical synchronicity of being connected to love, then extending outward, carrying unlimited blessing, hope, and love far beyond. Consciously breathe in again now, the light that is all around you, activating and awakening your core, your spirit. Notice a tube of white light, connecting and anchoring all of your chakra energy centers to divine love above, not ending with your physical body, but rather extending upward into the universe, into the heavens, and also extending downward, grounding you to earth, the Mother Earth. United heavens and earth, divine energy are now intermixing in your heart. Open your heart and relax into the stillness, peace and calm of this now. Your inner light, your inner light and peace always awaits you. Remember to return to love, to return to consciousness. When thoughts of others in the outside world overwhelm you, breathe them in. Return thoughts to conscious love, return to the still, calm knowing of your divinity, of your power, and of your full spiritual nature and energy. You are physical, but you are spirit. With your clear mind and open heart, you are able to access all of the creative potential of your spirit now. The light of your spirit does not stop with you. It weaves through all of existence. You have great potential and ability to bring about positive change. Focus not on the challenges, focus on your light, your love and let your creative voice, your divine energy signature play out in the world around you. Your authentic light energy is essential for the awakening and transformation of all humanity on your planet. You are here now because you are a way shower for many, and your story is needed, is essential for all to reach the tipping point where love and consciousness are known, are experienced in balance, in love, in peace. Feel your energy lift once more, as we flow even more cosmic love into your field. Accept this if you would like. You may feel floating or tingling or just relaxed and calm. Whatever you feel is okay. Let it be okay and know that you are receiving a divine blessing and initiation and that nothing holds you back from sharing this light with the world. Follow the inner nudge and prompting to create, to express, to share—this is all you must do, follow your heart’s guidance. And from your open heart, connected to your full spirit and light and power, the magic, the love, the divine blessing that you can open to and experience here in physical form is unlimited. Rejoice, celebrate, have fun and play, and know that you are so loved and supported and encouraged to let your full light shine. You are already shining brightly, but where do you hold back? Where do you follow another instead of following your own knowing and truth and path? You are the way, you are the truth, you are the light, and you are connected to all that is. And as you realize this and trust in this and allow yourself to create positive change in the greater field of awareness and consciousness, the fulfillment and love and blessing you seek will be known. Notice your physical body again now, and draw more light in with your breath. As you exhale, let go of any tension, any negativity, and any fear that is stored cellularly or physically in your body. Let go, breathe in again, replacing that void with light and with love. And now go forth, shining your light in your unique way, letting your full spirit play in physical existence. You are blessed to be here now, creator on earth. Let your creativity flow, let your divine light awaken and be fully illuminated. You are divine and you matter, and your work of returning to consciousness, returning to love, returning to the present moment, extends far beyond your life. You are ushering in the new paradigm of earth, the emerging new humanity centered in love and joy. Claim this first in your own life and experience, and the ripple will extend infinitely. We leave you with our blessing, with energy, and with the reminder that within you, all things are possible. Connected to your inner light and consciousness, all knowledge, all wisdom, all healing you need is there. Open and allow this light, this cosmic energy, to flow in and through you. Stay in joy, for your happiness serves you and serves all. Your love has infinite power to create blessing and change and hope in your life and the lives of others. You are cleansed, you are blessed, and you are infinitely loved. Accept now a token from your angels, a gift. Let this come into your awareness, the present from these divine beings. What they offer you now may seem subtle or small. Accept. And we leave you now with infinite blessing. Goodbye for now. I do always believed the power of love is the key core that brings out light in each one of us that will bring us joy peace and hope here on our mother earth.thank you to our king of Divine love .to angel metatron.and you melanie.